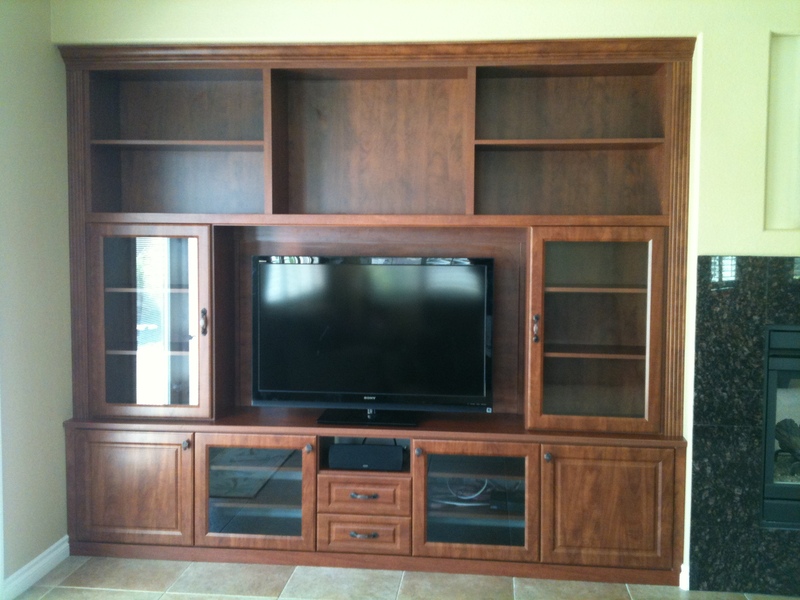 Las Vegas Entertainment Centers | Custom Closet Systems, Inc.
Today, it’s possible to buy a number of readymade entertainment center units in furniture stores. At many stores the display and variety can be so impressive and vast that you may be tempted to buy one straight away. But the fact is that sometimes, even the most stunning and aesthetically appealing entertainment centers may not be an ideal fit for your living room or entertainment room. This is where customization comes into the picture and we at Custom Closet Systems, Inc. are one of the leading companies in this space. 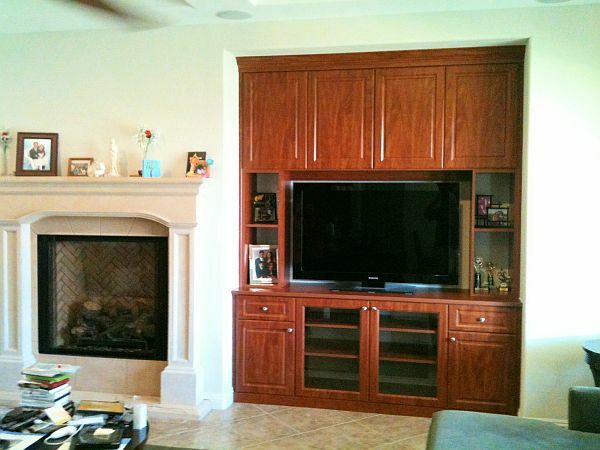 We strongly believe that having custom entertainment centers Las Vegas, NV is an ideal option for a number of reasons. You get the flexibility to get cabinetry that will blend in seamlessly with the other features in the room. 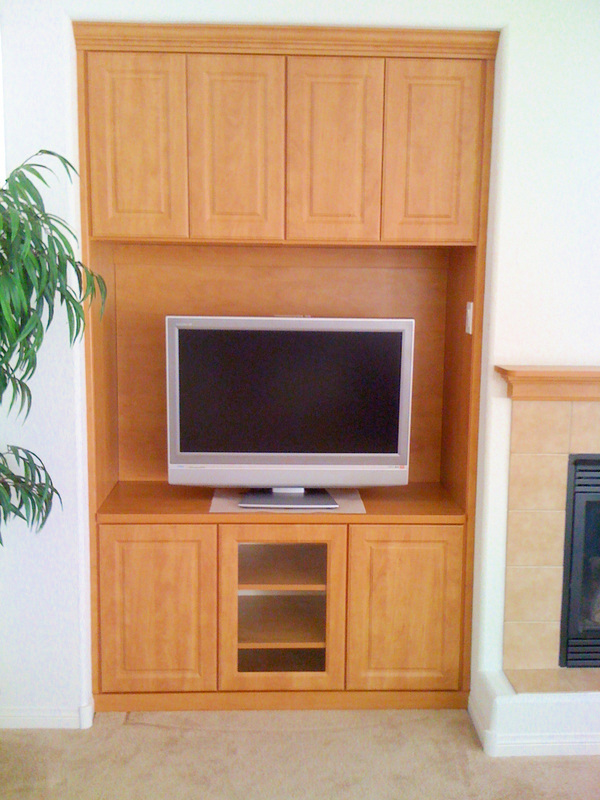 Customized entertainment centers solve design concerns. Every living room has a different layout and dimensions and the overall ambience and feel is unique to each home. This can make it extremely difficult to find a pre-made entertainment center unit that complements the look of your décor and other furniture pieces. For this reason, many homeowners look for customization options. A pre-made entertainment center that may have looked simply stunning at the furniture store may stand out like a sore thumb in your home and you may just end up trying to make it work somehow. 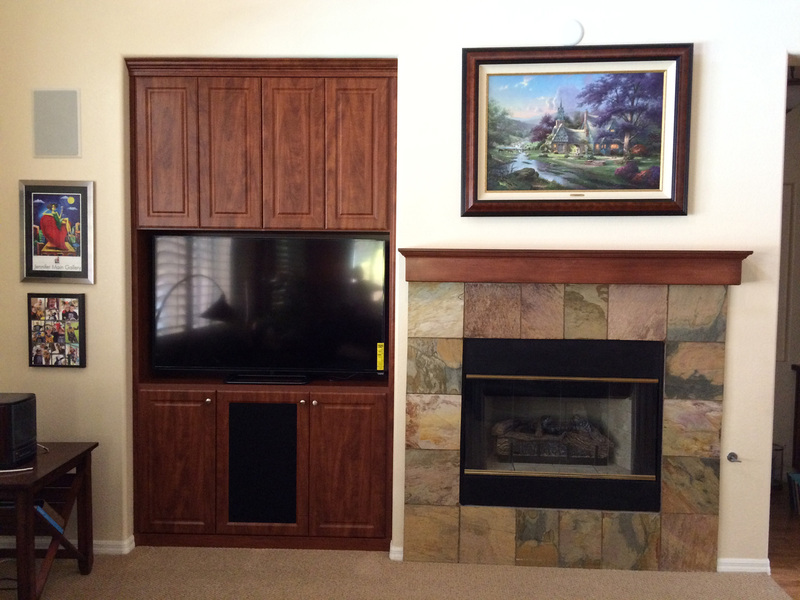 On the other hand, when we build entertainment centers Henderson NV, we ensure that the drawers, shelves, materials, hardware, finishes, colors and textures are all in sync with the design and styling of your room and the other features there. 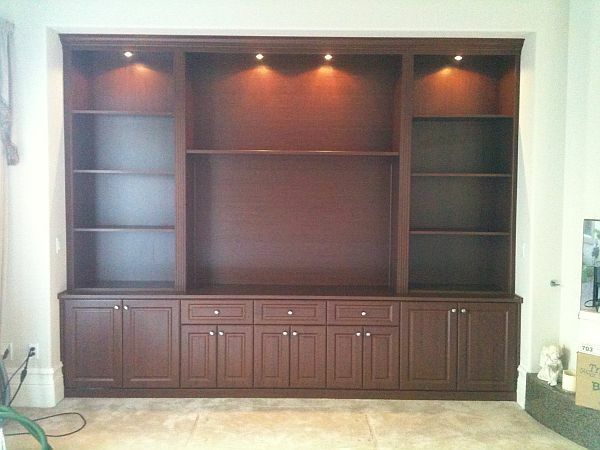 This is another tangible benefit of opting for a customized entertainment center. 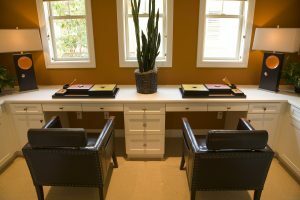 While it isn’t difficult to find a media center that will hold a variety of electronic and electrical devices; it can still end up looking awkward and ill-placed. 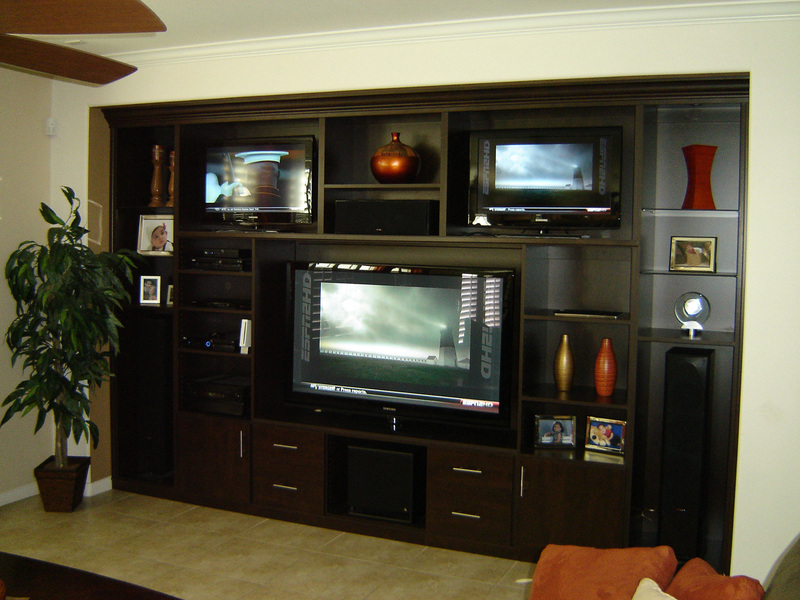 Often times, readymade entertainment centers Las Vegas, NV look either outsized or undersized in a room. In some cases, they may eat up too much of the floor space, making movement in the room a little uncomfortable. At times, you may find that there is no proper storage for other items like CDs or books, photo frames or any other artifacts and décor pieces you may want to display. 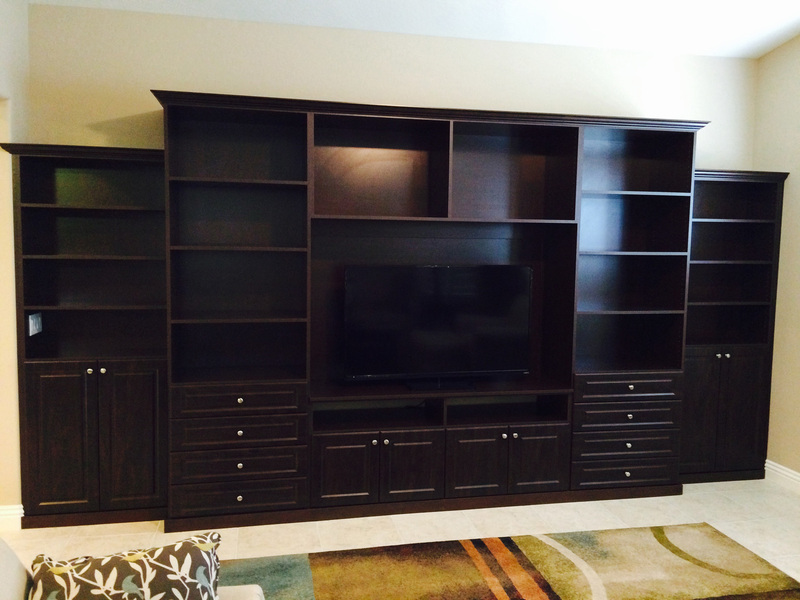 You can avoid all of these problems if you work with skilled and experienced custom furniture designers like us at Custom Closet Systems, Inc.
A custom-designed entertainment center solves all your design concerns and offers ease of organization. Our designers will work closely with you to understand what your specific requirements are, and will ensure you get the number of individual compartments you want, the number and size of closed cabinets you need and the right depth and sizes of the shelves as well. Your home is your personal space and you choose all the features and installations in it with care and attention to detail. 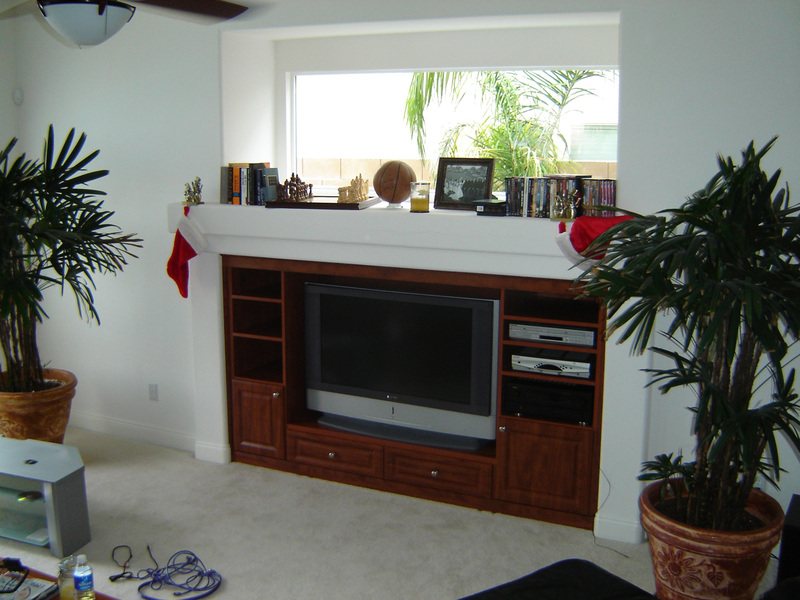 And you may have some specific requirements when it comes to Entertainment centers Henderson NV as well. For instance, you may want some recessed lighting or backlights and in-built mirrors to create a very specific mood in the room; or you may want the TV space to be hidden when not in use etc. These options and functions are possible only when you choose customized solutions and the design and function will be personalized to suit your taste and requirement. Regardless of how you look at it, a custom entertainment center is practical, functional and aesthetically appealing; its design and styling can be as simplistic or elaborate as you want it to be and we ensure that the solutions we provide also fit in perfectly with your budget. Entertaining at home is far more enjoyable when everything has a specific place. We will provide smart storage solutions, ensure that the cable management is perfect so that the wires are out of sight and that all your shelving needs are met. This helps ensure that all of your media components are organized and displayed beautifully in the entertainment center that’s been tailor-made for you. 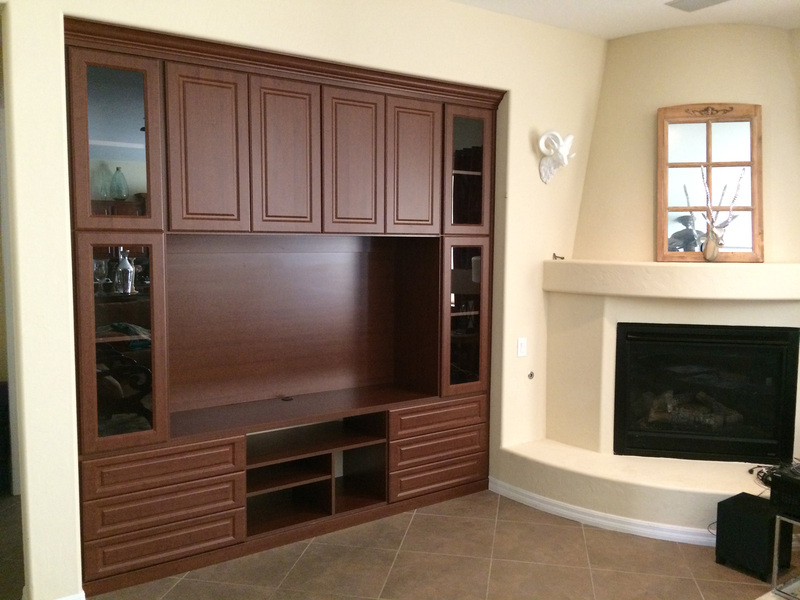 For any more information about our services or for a design consultation, feel free to call Custom Closet Systems, Inc. of Las Vegas, NV on (702) 360-0903. 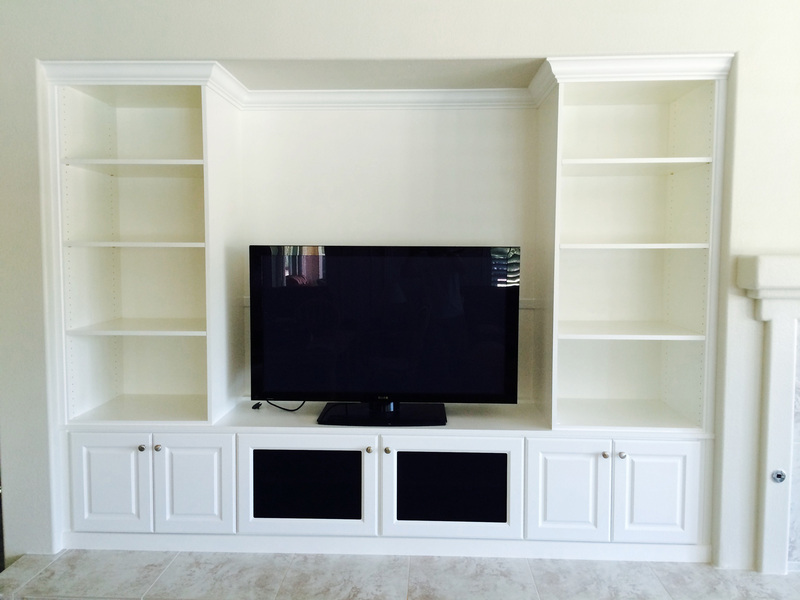 Allow us to help you organize all your media equipment with a stunning custom entertainment center that will be perfect for your needs. You can also request a free consultation via this page.